Very few, or none of those who knew Richard Nyamboli’s language prowess could have considered it an exaggeration when in a tribute to the departed, a colleague described this death as the loss of a valuable pen. Dr Richard Nyamboli who served at the Cameroon News and Publishing Corporation, SOPECAM and the Ministry of Communication in various capacities ranging from Editor of the English Language Cameroon Tribune bi-weekly to director of CAMNEWS and lastly, director of communication at the Cameroon Embassy in Washington DC passed on to eternity on 9 April 2018. In the presentation of Dr Nyamboli’s biography one of his sons described his father as an indelible and undisputed mark that deserves to be inducted in the hall of fame of Journalism in Cameroon. 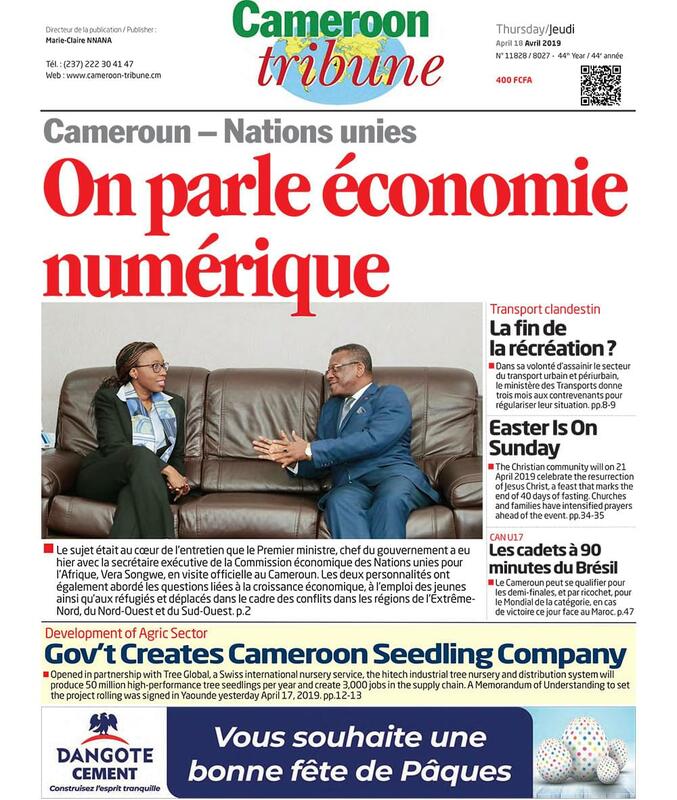 Those who remember his write up, “The unmaking of the King maker” published in Cameroon Tribune in 1983 cannot doubt the truth in Dr Nyamboli’s son’s appraisal of his father’s stewardship in the media. The turn out at the Nforya Presbyterian church service was a resounding homage by family members, friends and the clergy. The presiding Pastor at the funeral service described Richard Nyamboli as a committed Christian and media professional with rare qualities. This appreciation of Richard Nyamboli’s contribution as a committed Christian, mature media professional, responsible father and patriotic citizen could be noticed from the massive attendance at the funeral service despite the ongoing socio-political crisis in the North West and South West regions, notably what happened on that very day (of his interement) at the GBS and Presbyterian secondary schools of Bafut. As we mourn the departed, let us continue to pray for our country. For, without political stability, peace and education, we cannot sustain the standards and development ideals left to be continued in the interest of our nation and humanity at large. Adieu beloved friend and colleague, Dr Richrad Ngwa Keyaka Nyamboli.